I've been on a stamp buying freeze for over a year now but when My Favorite Things sent me a $10.00 off code for my birthday, of course I had to use it! 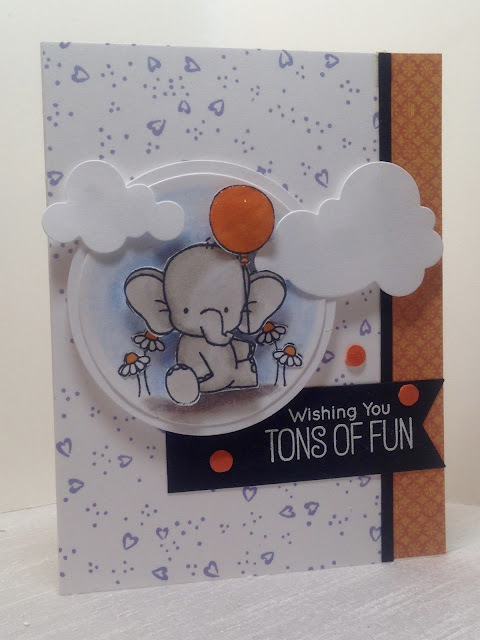 I fell in love with their new set "Adorable Elephants". 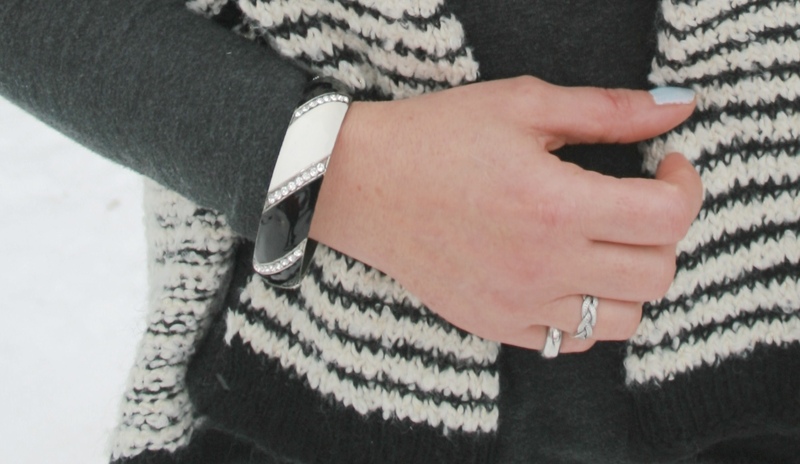 Seriously, could this set be any cuter? Whenever I get a new set, I like to first just case designer cards until I get more comfortable coloring the images, and figuring out all the possible things I can eventually do with the set myself. Both cards I am showing today were cased. The first one I cased from Barb. You can see her card HERE. The layout is copied exactly but I made changes based on what supplies I had. Because I didn't own the same background stamp, I used a different background stamp from my stash. It is retired Stampin' Up! "Beyond the Basics" stamped in Lovely Lilac Ink. I added Crystal Effects to the balloon, because I always prefer my balloons to have a shiny appearance. 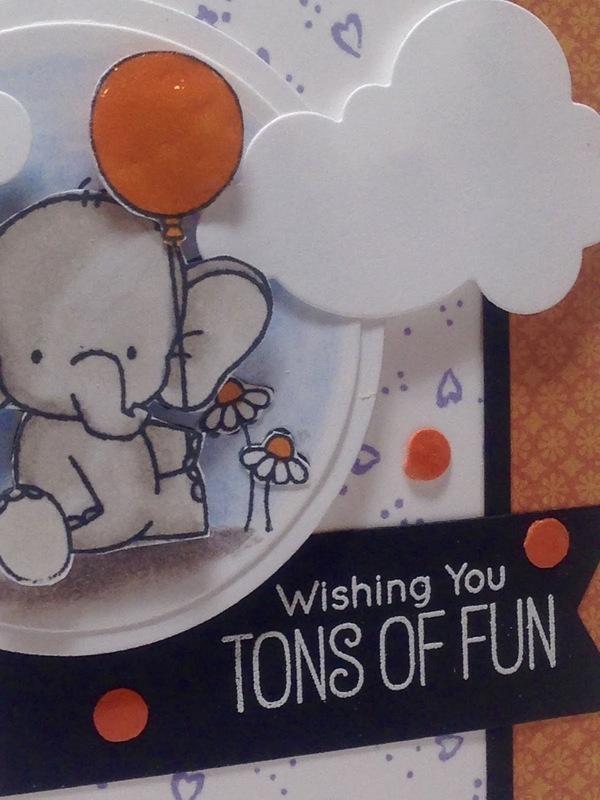 I popped the balloon, clouds (cut with an MFT die), elephant, and main image panel all up on dimensionals. I only used one banner for the sentiment instead of two like Barb did, because I always prefer a less cluttered look to my cards. The designer paper is also slightly different. It is from Crate Paper and is called "Farm-House". I create my own metallic dots by punching holes out of card stock and then applying Crystal Effects to them. You can save a lot of money that way and you get the exact same look! Plus, you always get the exact color of metallic dot you want! The home made metallic dots look just like the real ones too! My next card I found off the MFT website. 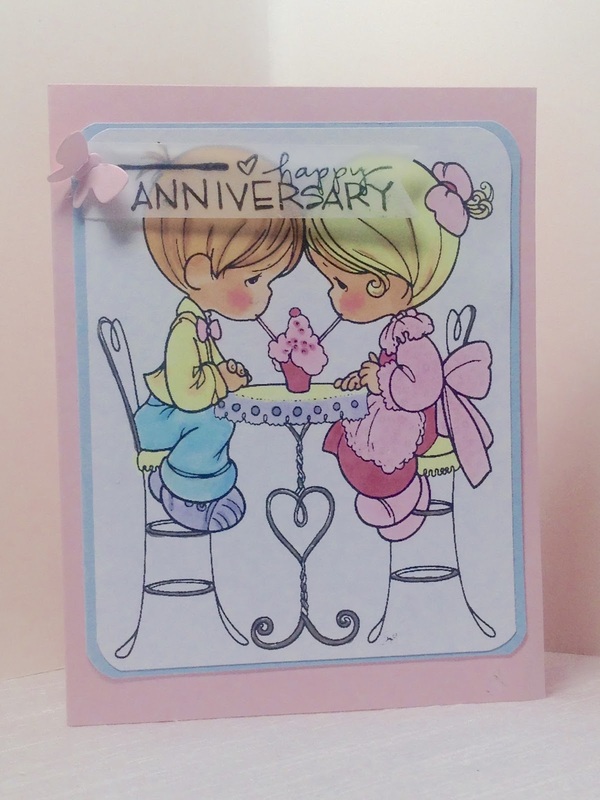 It was designed by Kay Miller, and you can see her card HERE. For this card the layout is exactly the same, I just switched out the paper and eliminated the water color background because that's just too much work for me. I used a water color designer paper instead. You get the same look with half the amount of work. The paper is from Prima "Fairy Flora". 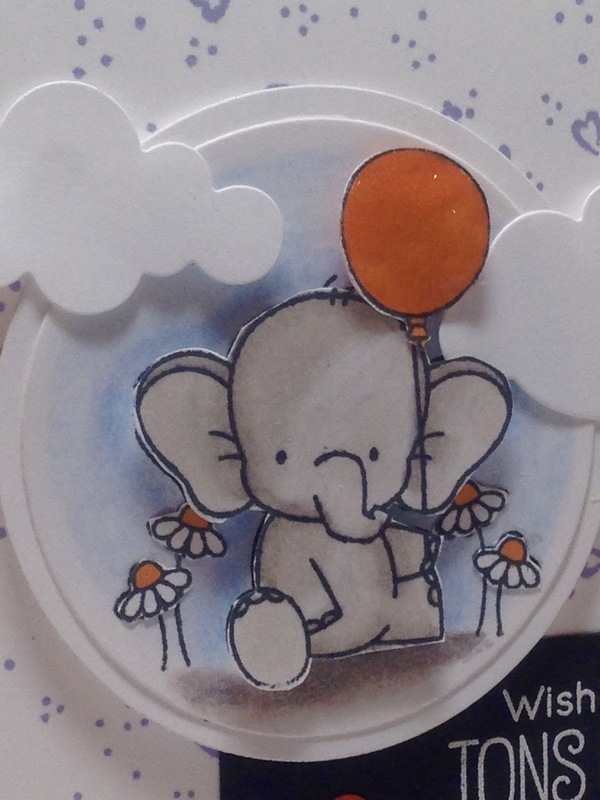 Like Kay, I popped everything up on dimensionals: the balloons, the elephant, the butterfly, the flowers, the sentiments, and the circular panels. Unlike Kay, I put Crystal Effects on the balloons and Stickles on the Butterfly. All the shapes were cut with Spellbinder's Nestabilities or MFT dies. I added three pink sequins to finish the card. 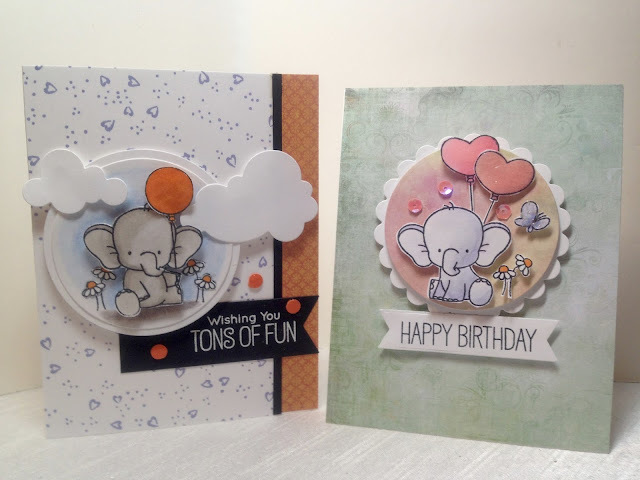 Casing designer cards is a great way to not only make quick and easy cards when your pressed for time (coming up with a design is always the most difficult part), but it's always a great way to get accustomed to a new set and discover all it's possibilities. Back in November I wrote a post titled "Sweater Vests: Yea or Nay?". In that post I discussed my initial doubts of the practicality of sweater vests and whether or not they worked for my body type. It ended up being one of my most popular posts of the year. So for today's fashion post, I thought I'd bring back that very same sweater vest, but styled in a slightly different way. 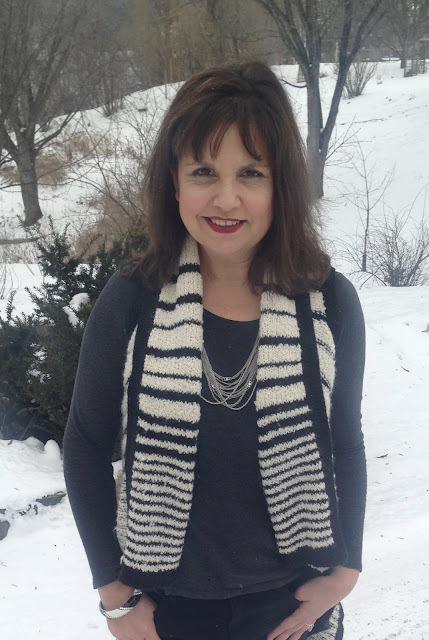 In the first post, I styled the vest with different shades of creams and grey and short black booties. I liked that look, but I wanted to see what the vest would like with a solid line of black underneath. 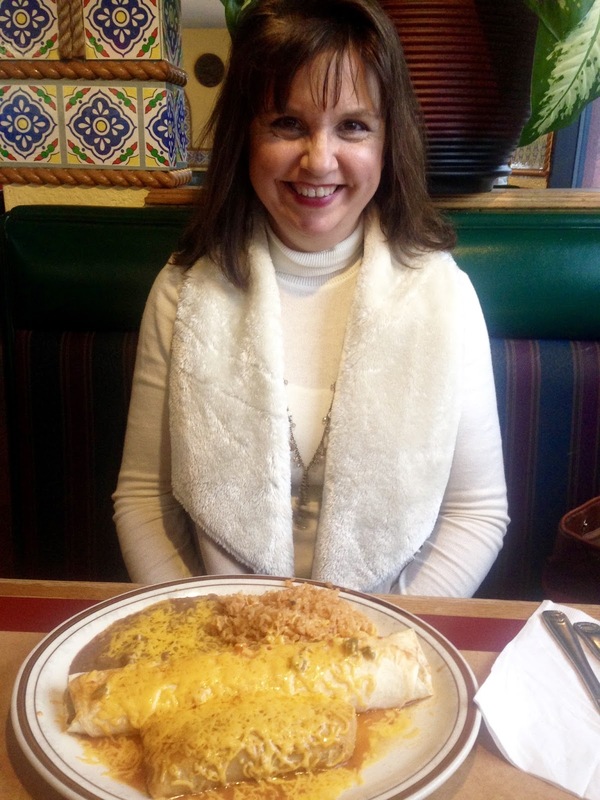 Instead of a cream shirt under the vest, this time I wore a black (or very dark charcoal grey) top underneath. Like the first shirt, this is a very thin cotton garment (old, Express). Wearing something thin underneath the vest helps reduce bulkiness and also keeps me from getting overly warm. 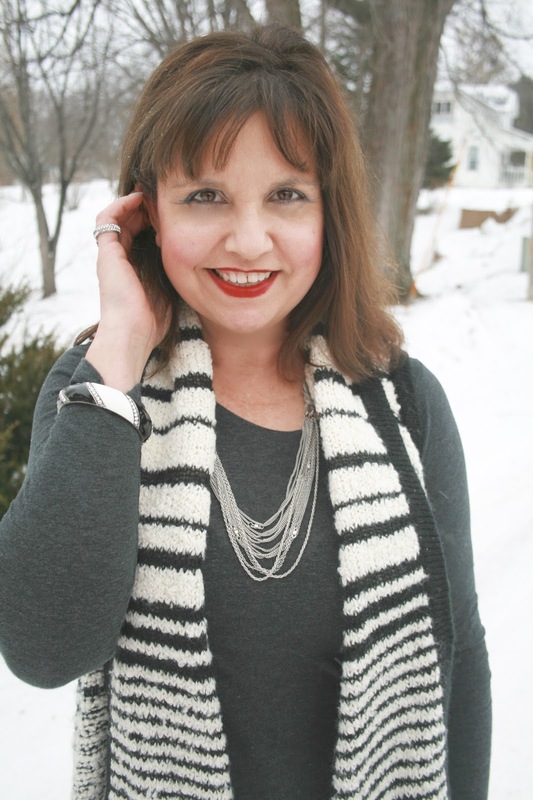 For jewelry, I accented with a multi-strand silver necklace and a black and white silver bracelet. I painted my nails blue, because I thought it helped offset the overall dark outfit. Here is a side view of the vest. It has a long, asymmetrical side, and is shorter in the front and back. The back is a solid cream. 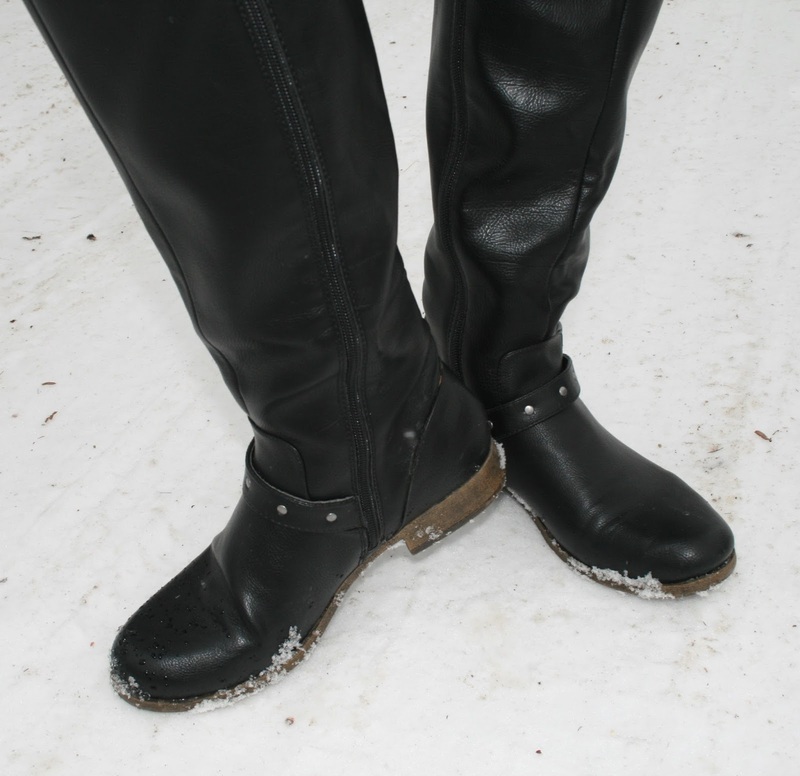 I wore tall, flat black boots (old, J.C. Penney) with silver studs and buckles. 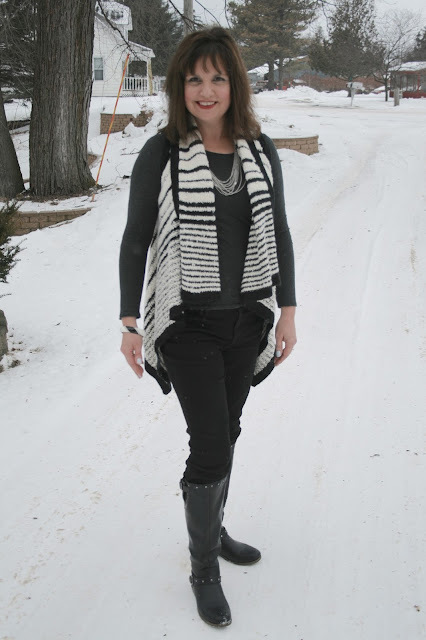 I chose tall boots over short ones to elongate my figure due to the heaviness of the vest. The front of the vest has lapels with a solid black edge. My jeans are simple, high waisted, straight leg jeans by St. John's Bay. They are one size bigger than I normally wear in pants because they don't sell my normal size in St. John's Bay in store. It's a problem I have to deal with a lot at most department stores, for their smallest size in Misses or Women's is usually a size 6. Rather than buy on-line or shop elsewhere, I just buy the six and wear my clothes a little looser than I'd like. That is why the material is buckling on my legs. Other than the fact that my pants are too big, I really like this outfit more than the one I wore in the previous post. I think the solid line of head to toe black compliments the vest and makes me look slimmer. And who doesn't want to look slimmer? This a.n.a textured vest is still available HERE, and the jeans are available HERE. So what about you? Which outfit do you like prefer? Have you purchased any sweater vests yet this season? I'd love to hear from you! 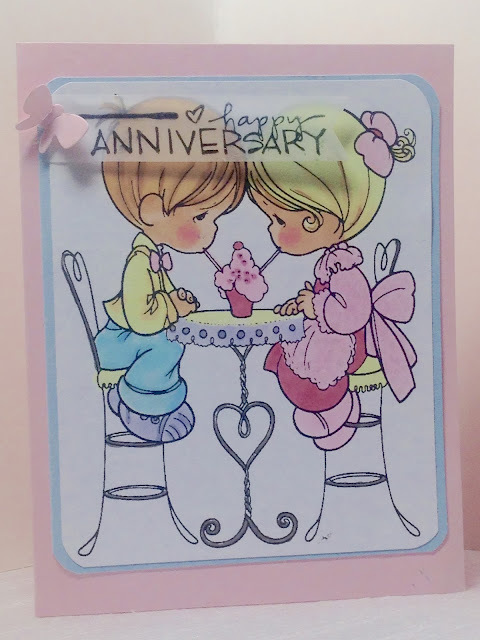 I made this lovely anniversary card using a free Precious Moments digital image that I found on-line many years ago. I saved the image to my computer, but it might still be available if you try searching for it. This card is an example of the many free outline images there are available on-line. I've already shown you a card made with a Charlie Brown free digi HERE. Many people do not have the money to spend on stamps or maybe they do not make a lot of cards so they don't want to invest in stamps. There are many, many, free digital images available on the web. Just be sure when your taking an image off the Internet it does say FREE on it, otherwise your stealing! Also, when using famous character images like Precious Moments or Charlie Brown, be aware that those images have copy rights. Meaning, you can use the image for your own personal use, but you can't make a card with the image and then sell it on Etsy! 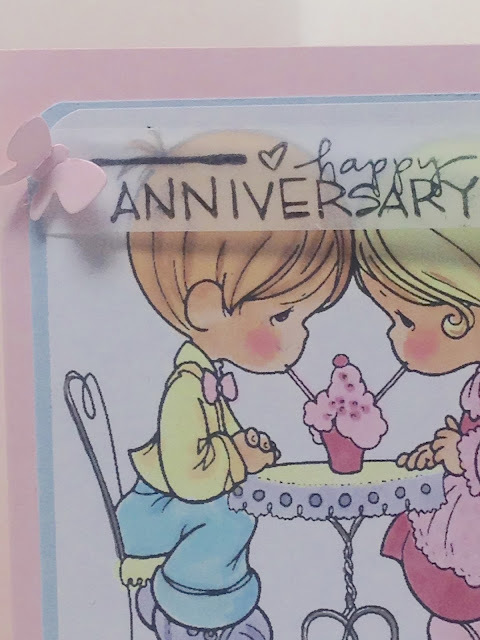 This was a HUGE image, so there was not much space left for a sentiment or any embellishments; so I just colored the card using the typical Precious Moments color palette. Because of the lack of space leftover on the card, I stamped my sentiment onto a piece of vellum and cut out a banner with an MFT die. 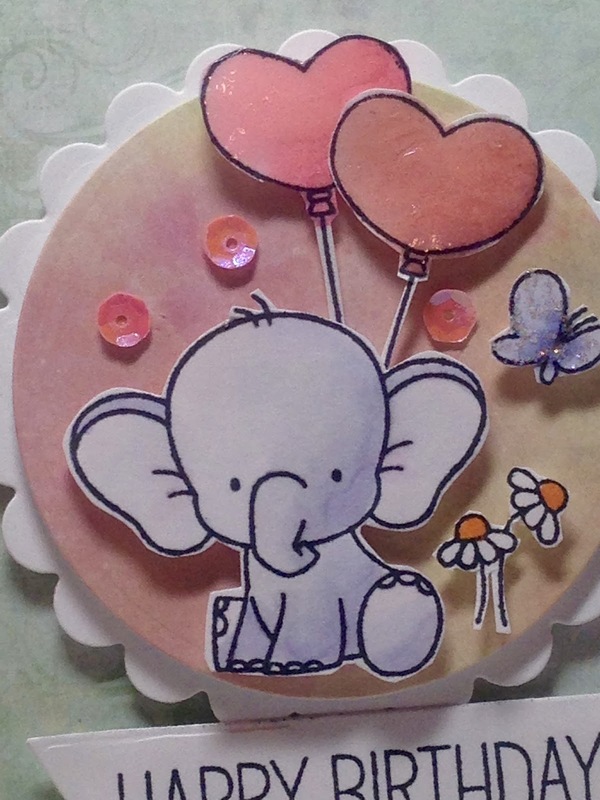 A little pink butterfly cut with a Cuttlebug Die was attached to hide the drop of glue used to adhere the vellum banner to the card stock. 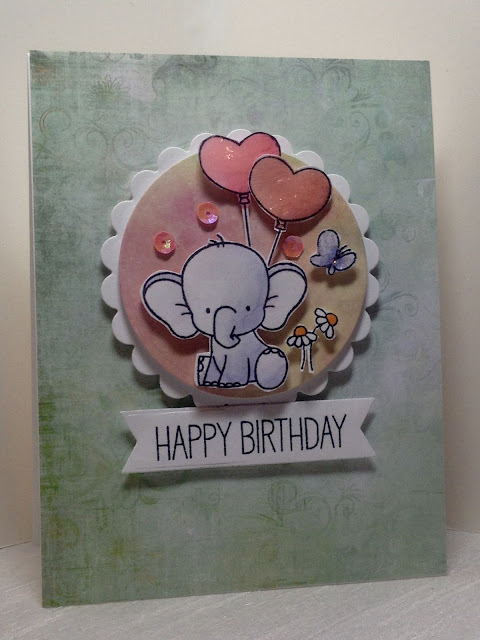 I chose pastel colored card stock to match the pastel colors in the image. I used a corner rounder to round the corners of the white and baby blue card stock, then I adhered everything to a pink card stock base. One of the greatest blessings of our fall vacation to Florida was getting to see Manatees in their natural habitat. 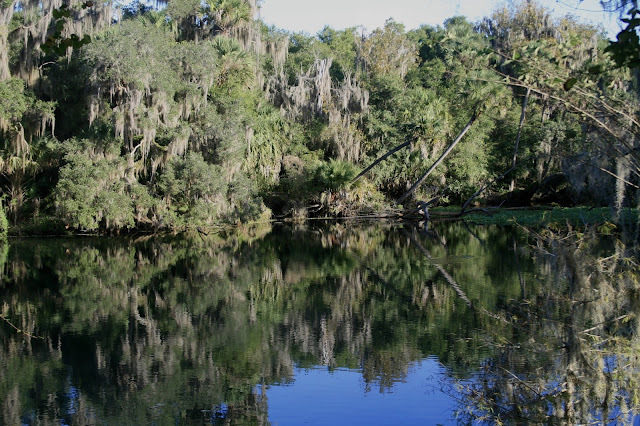 Blue Spring State Park is a designated Manatee refuge and the winter home to a growing number of West Indian Manatees. In the summer, manatees travel freely around Florida rivers and coastal waters. 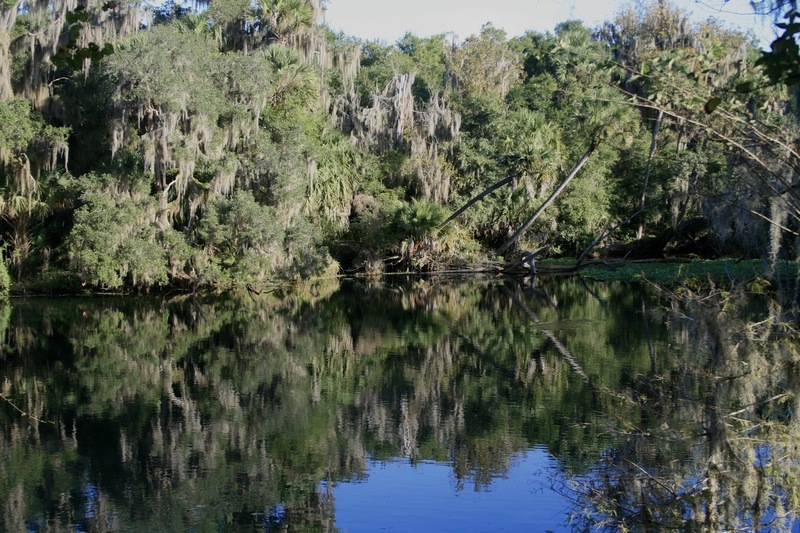 But when the weather starts to cool, manatees move into warm water refuge areas like Blue Spring. This clear spring stays a consistent 72 degrees year round. Blue Springs State Park is located about one hour north of Orlando, Florida. The park covers 2,600 acres. 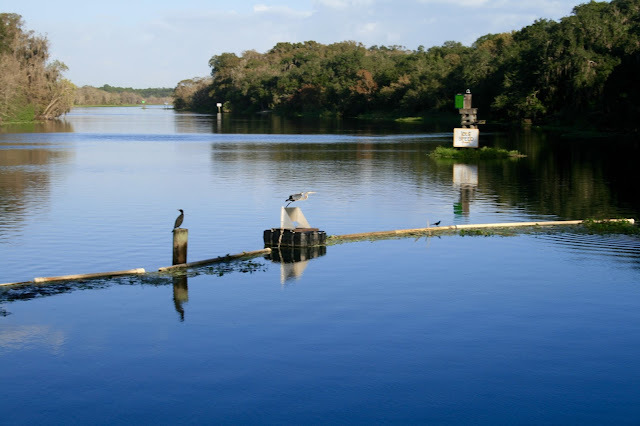 The main attraction is the Blue Spring and the St. John's River. A half mile boardwalk with viewing platforms borders the Blue Spring run. 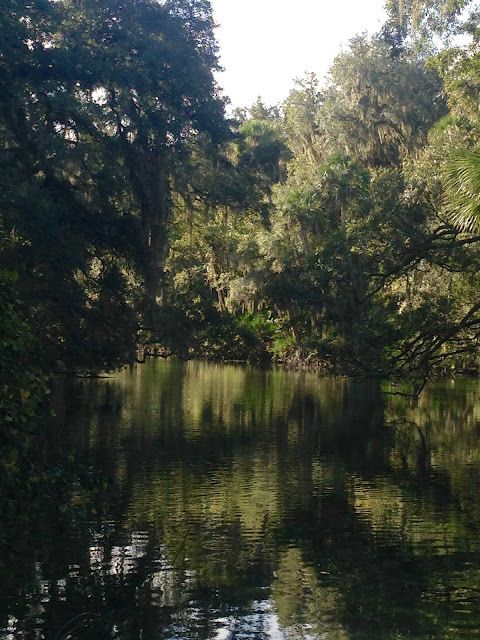 The St. John's River is on one end, and the clear, translucent spring is on the other end. 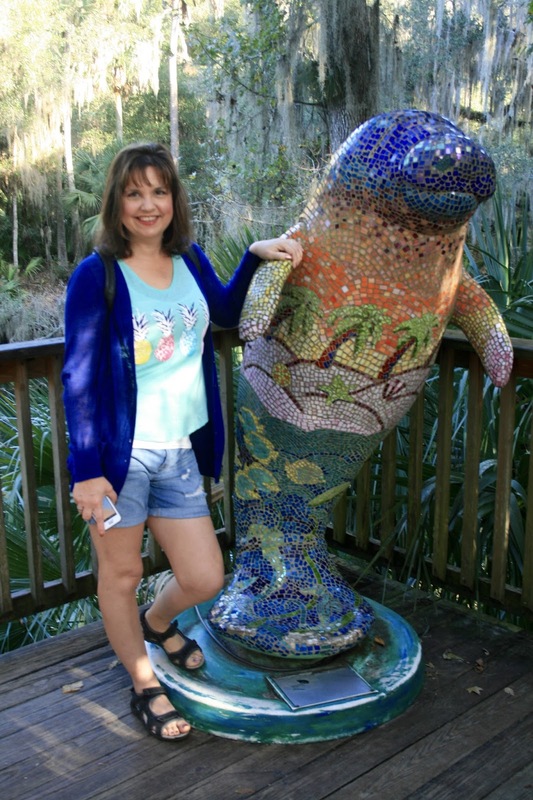 We found this cute mosaic manatee statue on one of the viewing platforms, and of course we had to have a little fun with him. 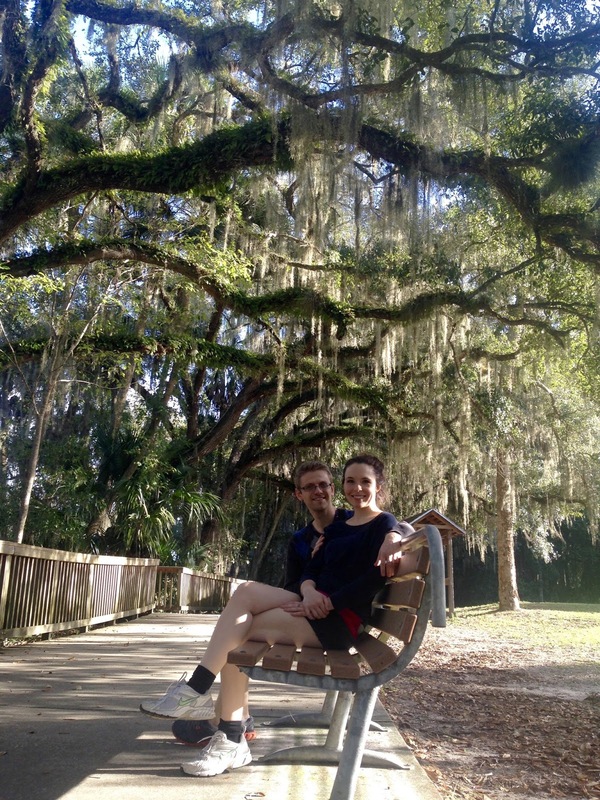 We arrived at the park when it just opened and it was so peaceful! I highly recommend arriving in the morning before all the screaming children arrive. It was such a surreal experience to be out in nature enjoying the peace and quiet and watching these beautiful creatures swim in the crystal clear waters. This is St. John's River, where the boardwalk begins. This is also where you can catch a boat tour. The tour is two hours long and cost $24.00 per person. We did not take the tour for financial reasons, so I can't give you any information other than that. The manatee walk was enjoyable not just because of the manatees, but also because of all the amazing plants and palms we discovered along the way as well. This old house is also along the walk. It sits right along the spring and is called The Thursby House. It was built in 1872 and became the hub of activity on the St. John's River, hosting steamboat passengers as they made their way up and down the river. We did not go inside, because I did not know we could until I started researching this post. I think we were so excited to see manatees, we just weren't interest in an old house at the time. But HERE is a video if you'd like to see what the inside looks like. 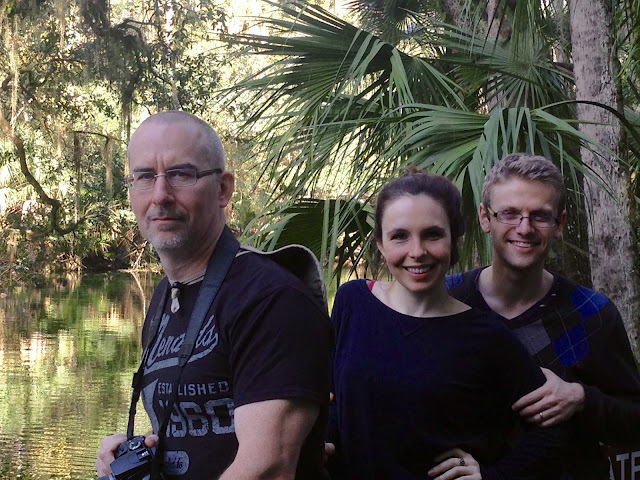 Like I said earlier, I loved the nature walk through the Florida jungle as much as I enjoyed the manatees! Just look at these gorgeous palms, the spagham moss, and the trunks of these trees! The boardwalk kept us safe from alligators! We didn't see any, but there plenty of warning signs that they were around! Can you believe how crystal clear these waters are? Just look at this magnificent mammal! Isn't he breath-taking? And there was a lot more to see in these crystal clear waters other than manatees; there were plenty of fish as well! I've never seen so many fish in my life! And I've never been able to look at them in clear water before either! This is one of the many viewing stations located on the walk. That is my son-in-law, my daughter, and my husband. If your wondering where my son Jordan is in all these pictures, he couldn't come with us because he had to work. We unfortunately didn't get to spend as much time with Jordan on this trip because of his job, but I'm looking forward to seeing more of him in February! No one is allowed to swim, fish, or boat during the manatee season. These are park employees observing the manatees. This lovely bench was located on the walk. Don't you just love how the branches of the tree hang over in such a horizontal fashion? I love that moss too! The park is open from 8:00 a.m. to sundown daily. And like I said earlier, if you really want to enjoy the full manatee nature experience, get there when it opens, before it gets busy. It was so nice being there in the morning and enjoying the peace and quiet of nature. In the afternoon, the children arrived and the screaming and running up and down the boardwalk began. Then we were out of there. Fun over. But if you have kids, this is a perfect place to take them. The boardwalk is flat and accessible for strollers and little kids will have no problem walking the short hike. I can actually understand why they were screaming in excitement. If I went to a place like this when I was a little kid, I'd be excited too! It is definitely a learning experience for them as well. It only cost $6.00 per vehicle to enter the park (limit 2 to 8 people per vehicle). A single occupant vehicle is $4.00, and pedestrians are only $2.00! 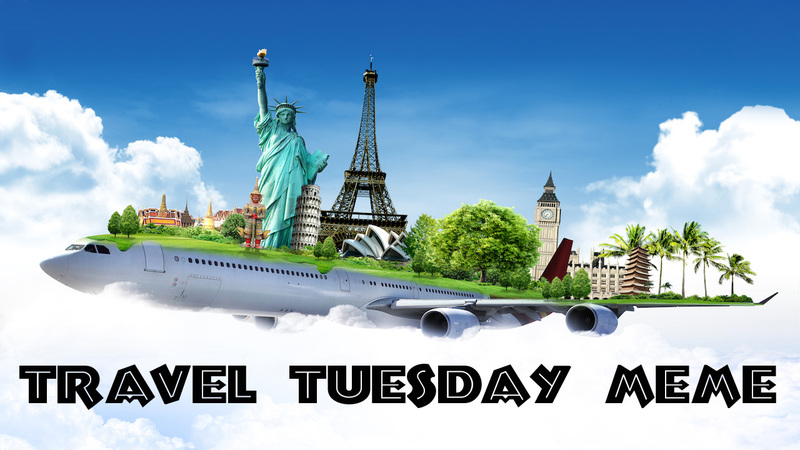 So it is quite the inexpensive travel adventure!